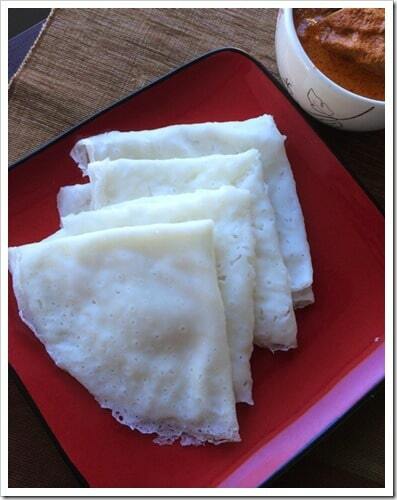 If there is one dish that I can never get bored of, it would be Neer Dosa. 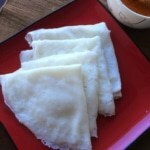 Given my fondness for Neer Dosa, I should have probably started my blog with this recipe but it took me a while to get it right – hence the delay. It is just a dosa and you may wonder what’s the big deal about it. 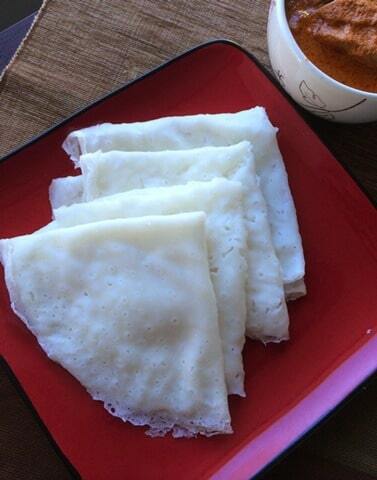 The big deal is getting the texture right– if you have never had Neer dosa before, I would say it closely resembles the Swedish crepes you find in restaurants like IHOP. Remember it is not crispy and it is just very soft and nothing like Rava Dosa or Sada Dosa’s we have at home or restaurants. Neer Dosa, when translated to English, would mean Water Crepe and it is rightly named that way since it’s primary ingredients are just rice and water. It traces its origins to the southern part of Karnataka and is often paired with Chutney or Kori Gassi / Chicken Curry. I wanted to make sure you get it right therefore instead of pictures I am including a video. A few things to pay attention as you venture out making this dish. While grinding rice, add as little water as you can and grind the rice into a fine paste. It should be a fine paste at this point and not watery consistency. 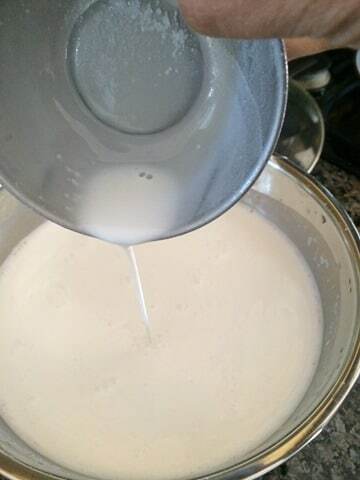 To make the batter, add 1/2 cup water at a time to the ground paste, mix well and keep doing this till you have achieved milk like consistency – see pic below. Add salt and mix well. 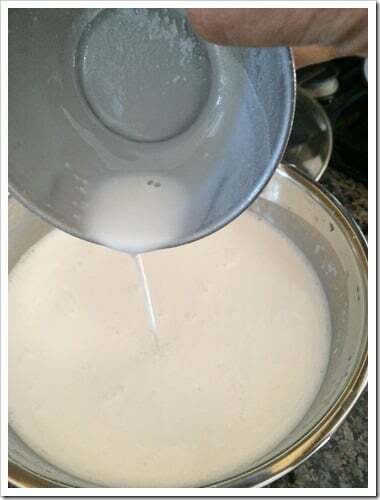 To make the batter, add 1/2 cup water at a time to the ground paste, mix well and keep doing this till you have achieved milk-like consistency. Heat a nonstick pan on medium-high heat and grease it with oil. Once the pan heats up, use approximately 1/2 cup of batter to cover the pan in a thin layer of batter. Rotate the pan to spread the batter evenly. Serve Hot with chutney or Kori Gassi.